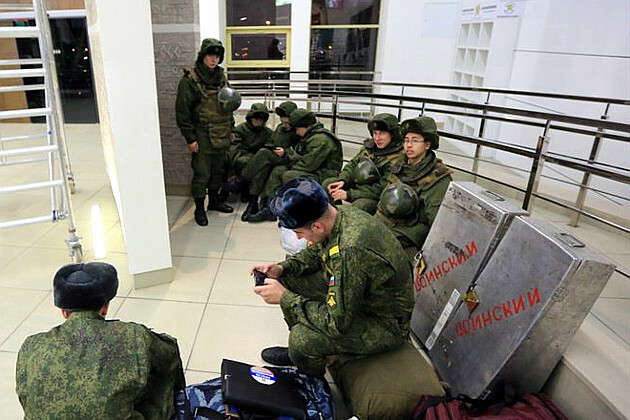 A group of eight soldiers in the uniforms of the Army of the Russian Federation were noticed today, December 18th, in the waiting room located in an above-ground concourse for the railway station – Minsk Passazhirsky [Minsk Pass, the primary passenger railway station in Belarus]. A correspondent from Belsat TV channel managed to take their photos. According to an eyewitness, the military servicemen were not hiding the fact that they are from Russia. However, this was not hard to guess from the distinctive signs on their uniforms. 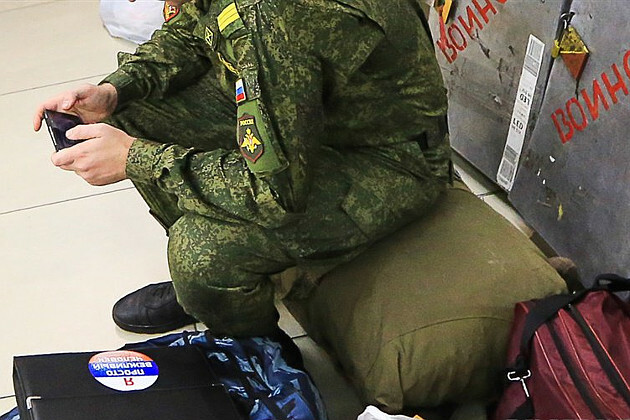 Also, they had knapsacks and metal boxes labeled “military” and these also still carried luggage stickers from the Pulkovo Airport, located in St. Petersburg, Russia on them. In addition, one of the military servicemen was spotted with a black leather folder. 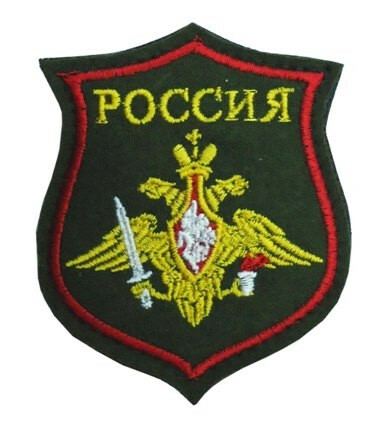 It had a sticker with the colors of the Russian flag and the words “I’m just a polite person.” It is worth recalling that it was these same “polite people” that Russian propagandists called the Russian military with unmarked uniforms who took part in the armed seizure of the Ukrainian peninsula of Crimea. The appearance of these soldiers with similar slogans on the sovereign territory of Belarus cannot but alarm the local population. The military refused to answer questions about the purpose for which they had arrived in Belarus and where they were being sent to. Soon they left the waiting room of the Minsk railway station. A chevron on the sleeve of one of the men caught on photo, is recognizable as the emblem of the Land Forces of the Russian Federation. This completely refutes the version that any soldiers seen in Minsk are being sent to one of two Russian military bases on the territory of Belarus because the early warning radar station “Volha,” in the Brest region, is subordinated to the forces of the the Russian Air Defense, and the 43rd Communications Unit located in the city of Vileika in Minsk region, transmits commands to the nuclear submarines – [under the command of] the Navy. However, neither Air Defense patches nor Navy symbols were seen on the uniforms of these military men. And the Belarusian Defense Ministry did not recently report on any joint activities with members of the Russian Ground Forces. This entry was posted in English, English News, Eyewitness stories, Pictures and tagged "polite people", #RussiaInvadedUkraine, Belarus, Russian soldiers. Bookmark the permalink.